As far as I can tell from my research the Native Americans in Florida and the southwestern parts of what would become the United States were the first to use Aloe on this continent. As it became known almost as a “first aide kit” from nature its popularity grew rapidly. The plant was used to heal burns and wounds but also for insect bites, fungal infections, eczema, dry skin, frostbite and poison ivy. The cactus-like succulent was found to work on just about any skin ailment a human might have. Part of that is due to the ability of the gel from the inside of the plant to promote skin cells to regenerate more rapidly. Aloe can be found now in many products like lotions and gels but you can also grow your own plants if you like. There are also supplements that can be taken internally but you should really check with your physician before doing that. The simplest and most effective way to use aloe is to break off a piece of the growing plant and squeeze the gel like substance from the inside of the plant. You then just apply the sap to the skin that needs attention. That is why many people have an actual aloe plant growing in their homes and offices. Don’t worry if you are not known for having a green thumb when it comes to plants because the aloe plant is a tough one to kill. Just about anyone can grow them, honest! The biggest thing is to not water it too often. Succulent plants have an ability to store the water for long periods of time. Your aloe plant should also not be exposed to a lot of sunshine, either. A sandy type soil works best for this plant, also. Like I mentioned above, you don’t have to grow the plant to reap its benefits though because there are many companies who put an aloe extract into their lotions and gels that can be used in the same way that you would use the aloe sap directly from the plant. I’m not completely sure how the aloe plant arrived in North America because it is actually native to Africa and the Mediterranean but evidence shows that it was introduced to this continent fairly early on in history. 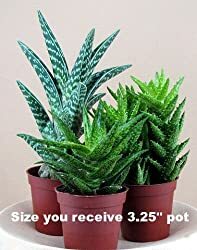 It does kind of make me wonder if the Egyptians sailed across the Atlantic as some historians believe because the aloe plant was widely used by the Egyptians. Many early civilizations knew of and used the aloe plant for skin remedies and it is still widely used today across the globe. You can find out more about the uses of aloe vera in this handy little book: Aloe Vera Handbook: The Acient Egyptian Medicine Plant. It gives a little history of the plant along with uses for it. 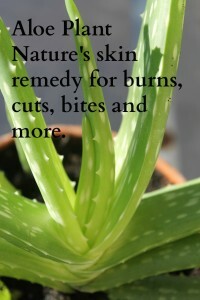 What are some of the ways you use the aloe plant? Do you purchase it in a product or do you have your own plant that you harvest from when needed? I think that it is probably not a surprise to many of you that garlic is more than a vegetable to help flavor foods or to ward off vampires. It has regained its popularity as a healing agent in the recent past but it has been used by different cultures around the world for thousands of years. Our Native American ancestors were no different and found several uses for this pungent little vegetable belonging to the Allium family. 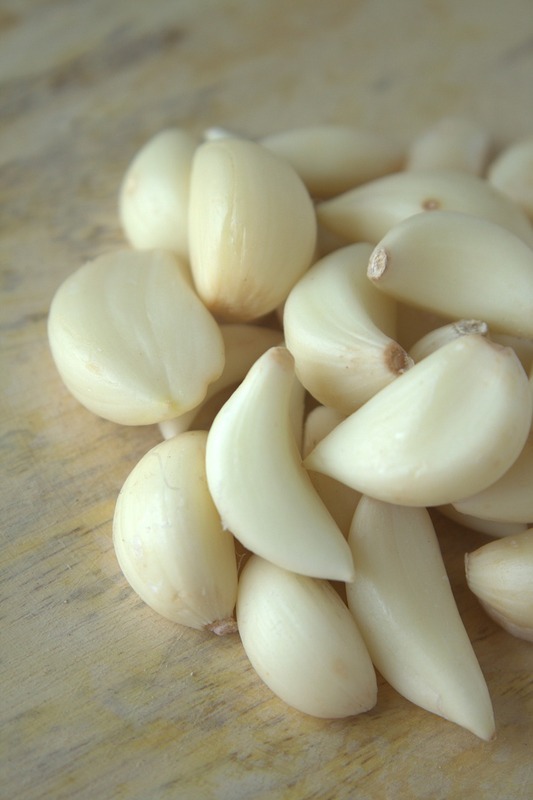 If someone had experienced a snake bite or had a wound that needed healing, garlic was used to aid in that healing process. When a member of the tribe had a respiratory ailment, a syrup was made with garlic that would relieve congestion and fight off the bacteria causing the infection in the lungs and bronchial tubes. Their biggest discovery that was nothing short of a major medical breakthrough when the Europeans learned about it was that garlic is very high in vitamin C which could be used to cure Scurvy. At the time, many of the people who had made that long trip across the ocean were suffering from this disease because of the lack of foods available that were rich in vitamin C. Scurvy could be fatal and the American Indians helped to cure many with their garlic remedy. Pretty profound for a people who were looked at as savages at the time! There have been literally hundreds of scientific tests done with garlic in recent years. Researchers of today have found that there is an antiviral and antibacterial property to garlic when it is crushed. This is from the substance that is released called allicin. Not only will it work for getting rid of viral and bacterial infections but it can also work on infections caused by fungi and yeast. Some are even using it to combat those awful flu viruses plaguing people across the globe. Our Native American ancestors already knew that this vegetable could assist in clearing up lungs and bronchial tubes when they were congested, modern researchers are finding that it does indeed help due to the oils contained in the plant. 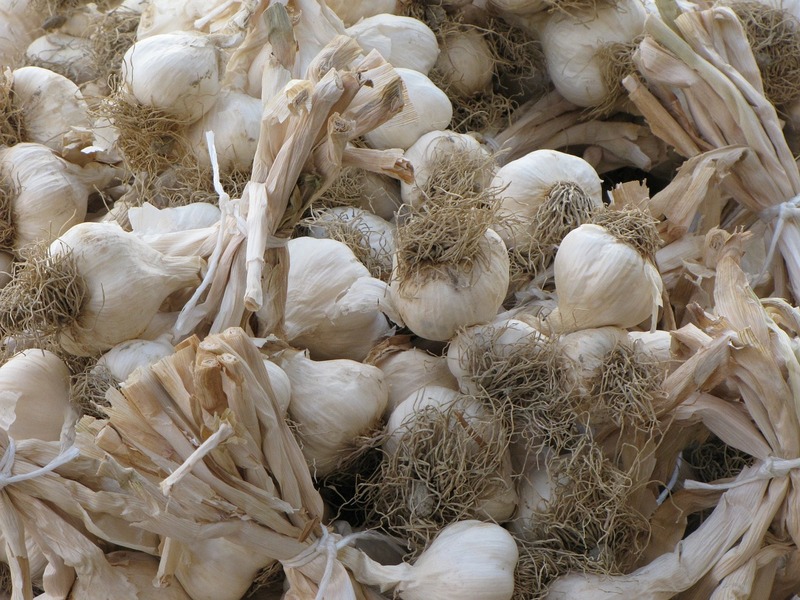 Long before modern scientists began to study the benefits of garlic, our ancestors also knew that the sulfur contained in garlic will help rid the body of parasites and worms. Recent findings have shown that garlic may be an important factor in reducing the risk of heart attacks. It can reduce blood pressure, reduce levels of the harmful LDL cholesterol in the blood, and reduces the tendency for our bodies to form blood clots. 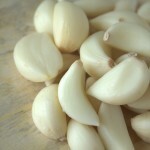 Some researchers believe that one glove of garlic a day is enough to produce these protective effects for our hearts. It has also been found to help with diabetes, migraine headaches, irregular heartbeats, and poor circulation in the legs. It might even protect against certain types of cancer. 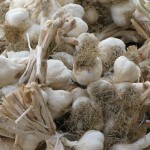 The simplest and most beneficial way to use garlic is to eat it and preferably raw. That is an acquired taste, I have to admit but it is the most helpful way for your body to receive it. The good news is: garlic will retain its medicinal properties when used in other forms. You can make garlic tea! Not exactly the most tasty of teas but if you are suffering from the cold or flu it will help you. Chop or mash several cloves and let them steep in a cup of water for 6 to 8 hours. You can drink it as a tea or use it to gargle with if your throat is sore. Garlic Oil can be used for helping with a earache. Mash a clove of garlic and add a tablespoon of olive oil. Heat this mixture briefly and then store in a dark bottle that has a good stopper. Use when needed. Syrup with garlic takes a little while to make but it is worth it. To a quart of boiling water add 1 pound of garlic. Remove from the heat and let stand for 12 hours. Add enough sugar to make it the consistency of a syrup. This can be used to help with coughs. The taste isn’t so great so some people will add honey or other things to help with the taste. Some believe that if you take small amounts of this syrup each day that it will help build your immunity and help your heart stay healthy. Another easy way to reap the benefits of garlic for daily use is to use a supplement like the one above. Before using garlic, please consult with your physician to make sure that there are no medications that you may be taking that would interact in a dangerous way to your own body. 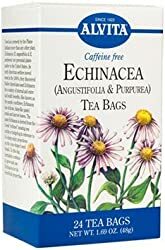 Echinacea is more widely known today than it was even 10 years ago as a plant that is good to use for subduing colds and upper respiratory infections. We have our Native American ancestors to thank for discovering the healing aspects of this pretty summer blooming plant. 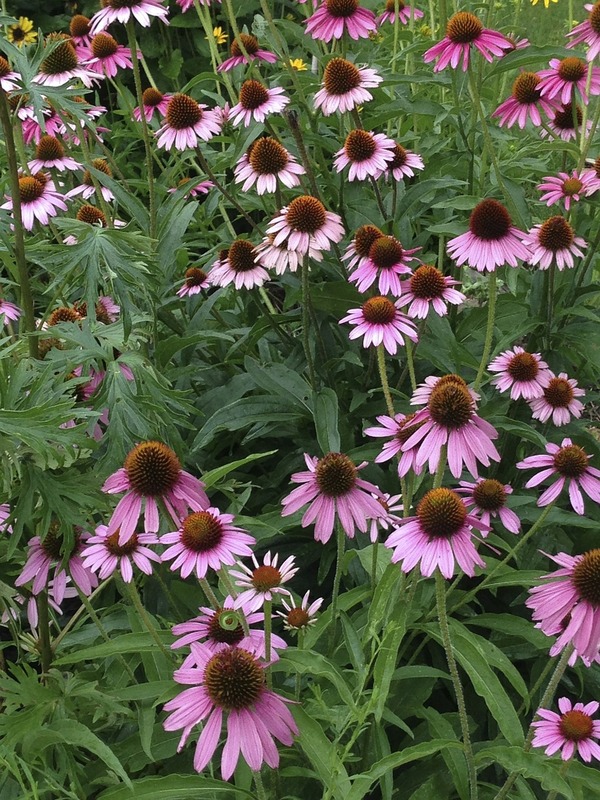 The common name with most gardeners is the coneflower and it kind of looks like a pink daisy or light purple black-eyed susan. Our Indian ancestors used this perennial plant for many purposes because they had discovered that it works well in helping the body to resist infection causing bacteria and viral attacks to the body. 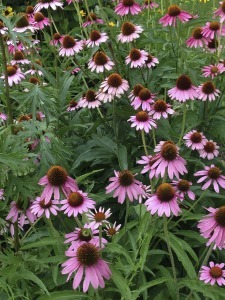 It isn’t so much that the plant will kill the organisms that are invading our bodies as it is that echinacea helps our body’s natural defenses to work better at getting rid of the culprits at hand. Since the cold and flu season is upon us as I write this post, I thought this would be a good remedy to talk about in the beginning of my series on physical remedies. Echinacea is still recommended by herbalists for upper respiratory infections along with laryngitis and tonsillitis and the common cold. It can also relieve the mucous membranes of the nose and sinuses. If used as a mouthwash it can help in treating many gum diseases. As for the parts of the plant that are best used for healing purposes most of the benefits come from the roots of these pretty flowers. These roots can be ground to a powder and used as a tea, can be an ingredient in lottions to speed healing of cuts and sores, or gargled as a mouthwash. However, you do not have to propagate the roots from your own garden to get the benefits. You can easily find extracts and teas in pharmacies, herb shops and health food stores. My husband and I use the product below on a regular basis. One thing to remember is that when drinking the tea, you are not consuming it for the flavor but for the health benefits of the plant. It doesn’t taste horrible but does have a bit of a grain or wheat taste to it. I usually add a teaspoon of honey to sweeten it a little. I have also discovered that, for me anyway, it is better to drink it down pretty fast while the tea is still pretty warm. The cooler the tea gets the more grain flavored it seems to get and even takes on a bit of a bitter taste. You can also take a tea bag that has absorbed water and place it on a cut or sore and get some benefit out of it or let the tea cool and use it to gargle with. Gargling when you have a sore throat really seems to help considerably. I also want to remind you that you should always read the label of the product before you consume it to make sure that your body will be OK with the product. I am not a physician or licensed herbalist and do not know your personal physical condition or medications that you are taking that might have an adverse reaction with echinacea, so this is an honest recommendation that I would want you to check with your own physician before trying. It has worked for my husband and I, especially in the winter months, but we also asked our physician before we began to drink the tea. For several years now, I’ve talked to you about the totems for our spiritual growth and healing and I hope that in some small way those explanations have been helpful and will continue to be. Along with making sure that our inner being is healthy we also need to make sure that our physical bodies are strong and well enough to provide the best vessel to house our inner soul. This is something that the First Peoples of North America understood very well. So, for the next several weeks and months I will be introducing different plants that can assist us in keeping our bodies in better shape. I am not a physician nor a certified herbalist but I can share the information that I have about different plants and herbs that are known to help with stress, colds, wounds and other ailments. I do ask you to use caution whenever you decide to try one of the remedies that I will be describing. 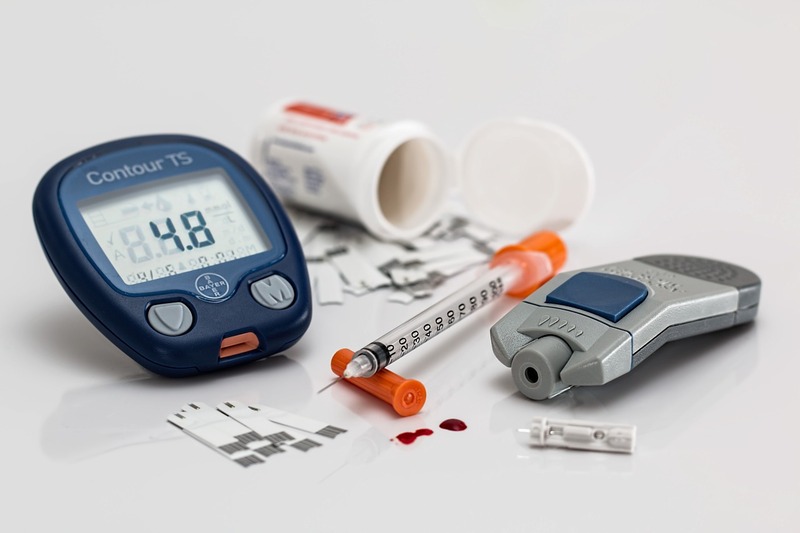 It is always best for us to consult our physician before trying many non-prescription products. This is extremely important if you have a heart condition, allergies or are pregnant or are breast feeding an infant. I will let you know if there are known issues with the plants and treatments that I will be sharing with you in each individual post in the coming months and just ask that you use your due diligence in figuring out if it is a good treatment for you to try. In many cases these treatments and remedies have been backed up, at least in part, by the medical and scientific communities. When we contemplate the centuries that the Native American peoples as a whole knew the different plants that would be “good medicine” not just for the soul but for the body we should stand in awe. Here was a people who were thought to be so primitive and uneducated and yet their knowledge of nature as a whole is remarkable. Obviously this knowledge didn’t occur overnight, it took hundreds of years of trial and error to figure out that a dandelion plant could be so helpful in healing the body for different maladies. With no written books to consult the shamans and medicine people of the different tribal traditions discovered what worked and passed it on to the next generation and even sometimes with other tribes of the own generation. As the Europeans began making contact with the natives of our continent, they were blown away with how much the people who they looked at as savages understood about medicines and illness. The Indians taught the newcomers much when it came to natural pharmaceuticals that could be used to ease pain, aid in healing and calm the body when under stress and anxiety. I look forward to sharing this information with you in the coming weeks and hope that if there are plants that you would like to know more about or ones that you have tried that you will share them with us in the comment section. At least a portion of 2015 will be dedicated to healing our physical bodies while we continue to grow our spiritual bodies.